A cookie is crumbling. Qatar's Minister of State for Energy Affairs Saad al-Kaabi has announced the country's decision to quit the oil producers' cartel, Oil Producing and Exporting Countries, or OPEC. More than the decision, it is the timing of the announcement that raised eyebrows. 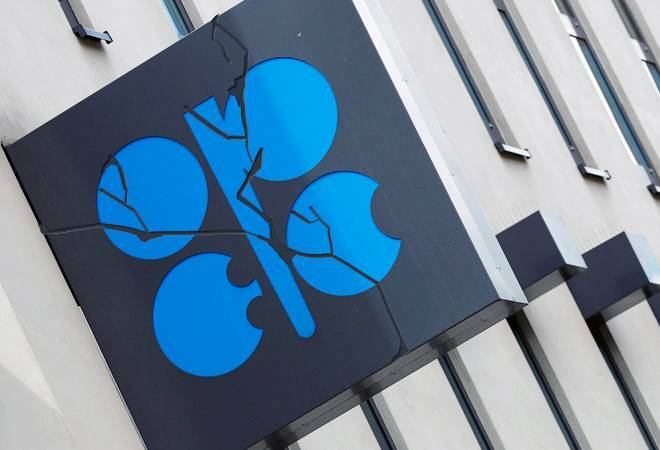 The announcement has been made three days before OPEC's crucial meeting at Geneva to decide the oil production cuts for the forthcoming year, and discuss the impact that increased production of US shale plays on prices. Qatar's decision is seen as a direct challenge to the de facto leader of OPEC, Saudi Arabia. New Delhi is one of the biggest buyers of crude oil from OPEC, and gas from Qatar. Diplomats here and at Geneva are keeping a close watch on the developments. The news is good. As the reduced production agenda gets more complicated, it will allow crude oil prices to stay at ease, at least for some more time. But other than monitoring the situation, New Delhi must emphasize more on bilateral agreements to ensure stable supply of crude. OPEC data shows that Indian oil demand is expected to rise by 5.8 million barrels per day (bpd) by 2040, accounting for about 40 per cent of the overall increase in global demand during the period. During the same period the global oil demand is expected to increase from 14.5 million bpd in 2017 to 111.7 million bpd in 2040. At less than 2 per cent of the group's total output, Qatar is a relatively small producer within OPEC. It remained to the production cut decided in November 2016, and which started from February 2017. But Qatar was uncomfortable with the growing hegemony of Saudi Arabia in OPEC decision-making. The minister said this without naming Saudi Arabia. Iran, Iraq, Libya, Nigeria and Venezuela too are uncomfortable with the production cuts as they wanted higher production, which would help their domestic economies. Qatar's exit may throw light on their point of view too. All this makes the December 6-7 meeting more interesting. Moreover, Qatar's move spurs various 'cooperating' OPEC members and non-OPEC producers to revaluate their participation in the reduction pacts. The step may however not be able to completely derail the collaboration with non-OPEC members, especially Russia. These countries want Saudi Arabia to continue take a larger hit, as they believe that the June decision of ramping up production only led to Saudi Arabian companies grabbing a larger market share and windfall. The move is more political than economic, as Qatar may not have the additional capacity to ramp up production. In the history of OPEC, Indonesia, Gabon and Ecuador have exited the cartel; Indonesia has done so twice. But an exit by Qatar - a member since 1961, and an emirate - leaves a question mark on the benefits of staying in OPEC, if you don't toe Saudi Arabia's line. Most Indian diplomats feel OPEC's dominance is on a decline, and it is high time that India reduce its negotiations with the multilateral body, and instead start dealing with countries directly. The falling cost of the renewable energy - solar and wind - and 25 per cent ramp up in US shale production is reducing the group's lifespan. And the separation of pricing of gas from crude oil prices, will put another nail in OPEC's coffin, they say. Qatar wants to focus on gas. It is the world's biggest gas hub and supplier, and many of the OPEC countries too want to grow their gas resources along with oil. Before these countries get together and form a cartel of sorts, India must quickly stitch together deals for LNG import terminals. In the next five years, India plans to consume double the gas it does now. These countries require infrastructure, consumers, and export terminals, and India can play an obvious role there. India's Petronet LNG is already in talks with RasGas to not only buy gas, but invest in their gas fields and export terminals. But to be a big player in the buyers' club, India will have to work with Japan, China, Taiwan, South Korea and the US; not easy by any parameter of geo-politics. In the last four years, India has tried to strike a balance. Along with seeking investments from OPEC member countries like Kuwait, Qatar, Saudi Arabia, and United Arab Emirates for creating oil and gas infrastructure, India has attracted their sovereign fund to fuel infrastructure and other projects domestically. In recent history, OPEC has failed India. In the last two years of oil production cut, and later when US decided to go for sanctions against Iran, the group was of little help. Various member countries of OPEC, including Saudi Arabia, created pressure along with the US to cut down imports from Iran. But OPEC did little to provide oil replacements. India was comfortable dealing with Tehran, as the companies there offered discounts, options of deferred payments along with bearing the burden on insurance, whereas Saudi Arabia remained adamant on premium on the cargoes moving east. The US decision to remove the embargo on supplies from Iran to India and eight other countries eased oil prices. For the last two years, Saudi Arabia along with Russia did manage to drastically bring down production, but this time it will not be easy to do so. Their economy forces them to seek help from other member countries. Qatar has its own political challenges with Saudi Arabia - since mid-2017, Qatar has faced trade, business and travel boycott from Saudi-led Arab neighbors - as the ruling family in Saudi Arabia believes that Qatar is helping Shia extremists along with Iran.